See what couples have to say about our work! "Pathway Media is amazing to work with! Andrew and Emily are both very kind, patient and professional. It's truly amazing what they are able to capture through film. Without our wedding video there would've been so much we would have never seen. Now we have something we can cherish and watch back throughout the years. I highly recommend working with Pathway Media Productions!!" "Our wedding video is everything we hoped for and more!!! Pathway Media Productions was able to provide the complete package: professionalism, artistry, friendliness and creativity. I can honestly say I watch our Highlight Film on a weekly basis and feel like I get a flashback to our amazing day each time I watch it! Andrew and Emily are amzing to work with and are hands down the best videographer duo around!!" 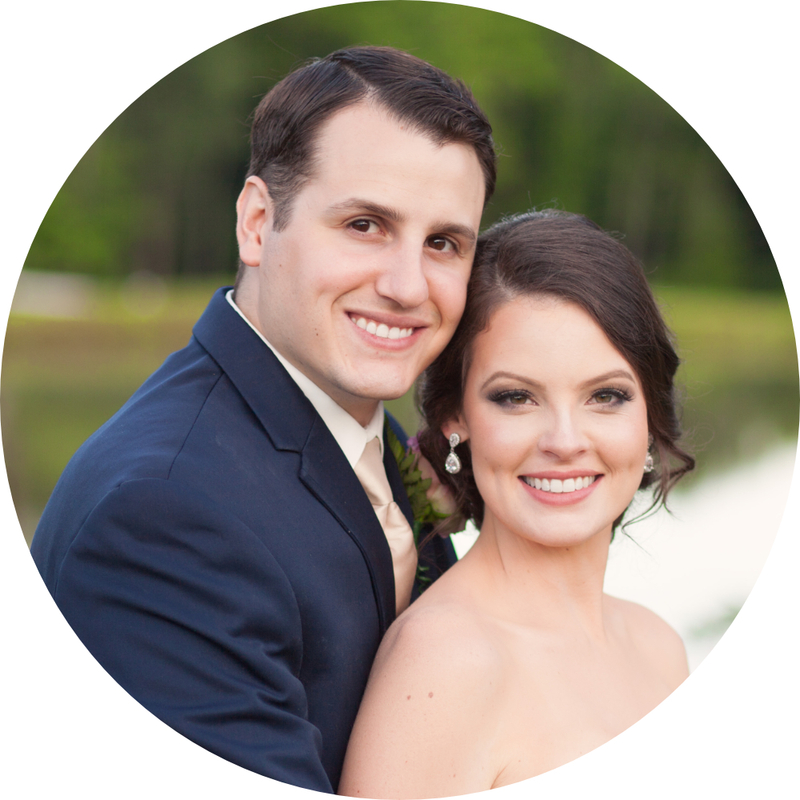 "My husband and I chose Pathway Media for our wedding last October, and we are so glad we did. Andrew and Emily are amazing. They work very well with everyone on your big day. They are super sweet and try to accommodate everything you want from a videographer. When we got our video, it was everything we could have imagined and more. Pathway Media is a great choice you certainly will not regret." "The exquisite quality and overall professionalism of this team is unbelievably perfect. Nobody tops Pathway Media Productions videography." "From the first time we met with Andrew and Emily, they were very professional and knowledgeable. I just knew I had to book them for our wedding. They were absolutely fantastic on our wedding day and made everyone feel comfortable. Our finished product/video couldn't have been more beautiful. So grateful to have such a wonderful momento to hold onto forever!" "There are days I wish I could turn back time and relive our wedding day. Thanks to our wedding video, I can do that anytime I want. The actual wedding day was a whirlwind and I am so thankful that Andrew and his team were there to capture moments I would've completely forgotten about. I truly can't thank you enough for capturing one of the most memorable days of my life!" "We loved you guys so much! Our day wouldn't have been the same without you and we're so thankful you could be apart of it! You cannot put a price on all the moments you captured that day, we will have those forever :) You're worth every penny, and I'll be sure to tell everyone I know about you!" "Andrew and his crew at pathway media were great to work with! They made me feel very comfortable having them around all day and they really put a lot of work into what they do. They were at our wedding from 10 am to almost 10pm that night making sure they got all the footage. The quality of the highlight video we received was amazing. Everything about it was perfect. I highly recommend them!" "After seeing many wedding videos where you can't hear because of people talking and babies crying, I knew I wanted a professional videographer for our wedding. I found Pathway Media Productions through our wedding photographer. After researching them I knew they were perfect for our wedding. They exceeded our expectations! We do not regret having them for our wedding, and we would highly recommend them. They were extra friendly and very professional! Thank you Pathway Media!" 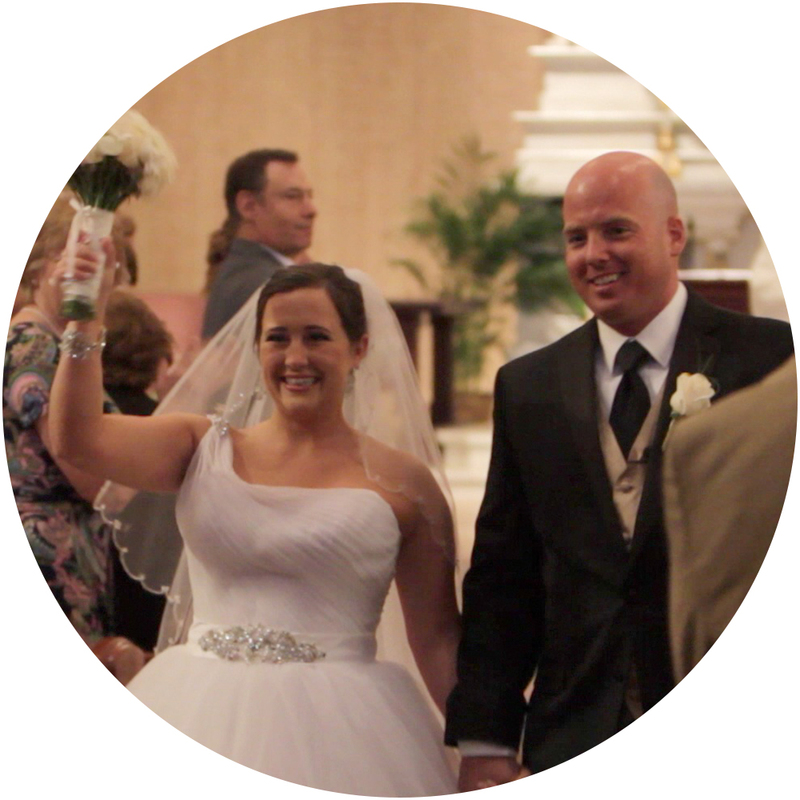 "My husband and I had Andrew and his wife do the videography for our wedding. They were amazing and there for every single important part of our day. I have and will continue to recommend them!" "The kind professionalism that was awarded during the entire experience was outstanding. We were exceptionally pleased with the outcome of both the highlight video and our complete DVDs, Blu-rays, and flash drive. We would recommend Pathway Media Productions to anyone. The work was tasteful and exceeded our already high expectations. Thank you for the amazing videography of our wedding day." "My husband and I could not have pictured our wedding without a videographer. Pathway Media Productions was professional and their quality of video was amazing. We definitely recommend them for any wedding or video needs." "Thank you guys so much for working with Hugh and I through all of the craziness that led up to our special day! You all did an amazing job and you were fun people to work with. We can't wait to enjoy our video for years to come! Thanks again!" "Thank you so much for giving us the most beautiful wedding video ever. I get lots of compliments on how awesome you guys did. I hope you get lots of referrals from us...because I tell everyone about you. Thanks again!" "Truly, the best decision we made during the wedding planning process was hiring Pathway Media Productions. PMP left no detail unnoticed, capturing every element of our special day. Professional, timely, and organized- such a wonderful group to work with! And the video they created-- It is more than we could have ever imagined. Highly Recommend!" "My husband and I were incredibly happy with our wedding video. The videographers were all so kind and polite. They are easy to contact and helpful in making decisions. I would recommend them for any video services." "Having a wedding videographer was something that we really wanted and did a lot of research to try to find the right one. As soon as we found Pathway Media it was apparent that they stood out WAY above the rest and on top of that we found their pricing to be very reasonable. Our wedding was a Catholic wedding in the early afternoon with an evening reception and they were very accommodating with our extremely long day's schedule. They were the most professional wedding vendor we had - they were consistent with updating us with information and gave us the greatest level of confidence in how they would do. The product of their work is fantastic. SO many people have commented on our wedding video, especially the short version that is able to be posted to Facebook and emailed to friends and family. I cannot recommend Pathway Media enough - they truly did a remarkable job and I am SO thrilled with our decision to use them!"